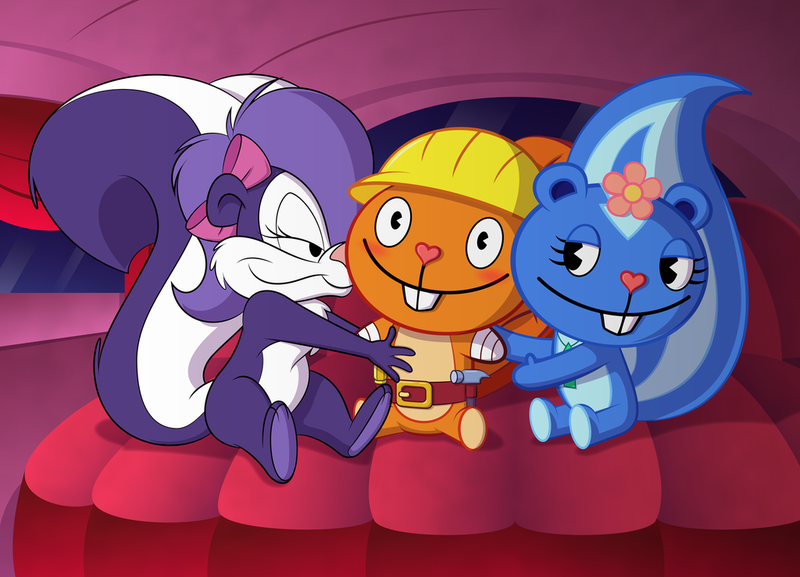 Fifi, Handy, and Petunia.. . HD Wallpaper and background images in the Happy Tree Friends（ハッピー・ツリー・フレンズ） club tagged: photo happy tree friends htf happy tree friends handy htf handy happy tree friends petunia htf petunia. 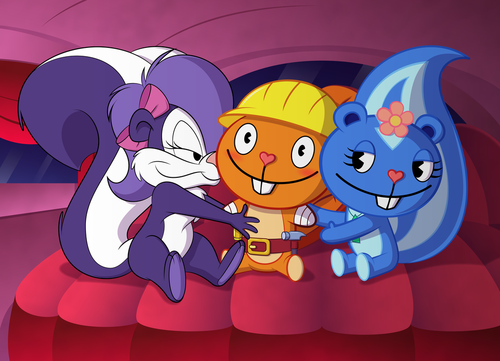 This Happy Tree Friends（ハッピー・ツリー・フレンズ） photo might contain アニメ, 漫画, マンガ, and コミック.